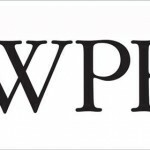 Your agency is proposing to charge $250 per hour for the Group Account Director or the media agency has $325 per hour for the Media Trading Director. How is this calculated? And what is the underlying salary cost? We deal with agency compensation and remuneration agreements every day and so calculating this is relatively straight forward. But for those marketers, procurement and agency people that don’t, we built a online agency compensation calculator so you can calculate this no matter where you are in the world. 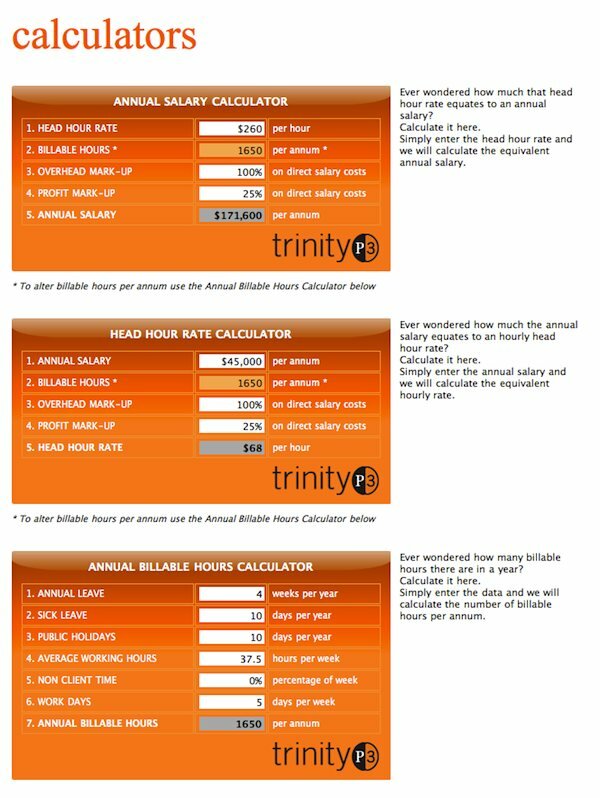 If your agency is proposing a certain head hour rate, you can calculate the salary that person should be paid to justify that rate. If you know what a certain role or position is getting paid, you can calculate the head hour rate that person should be charged out at to justify their salary. 1. 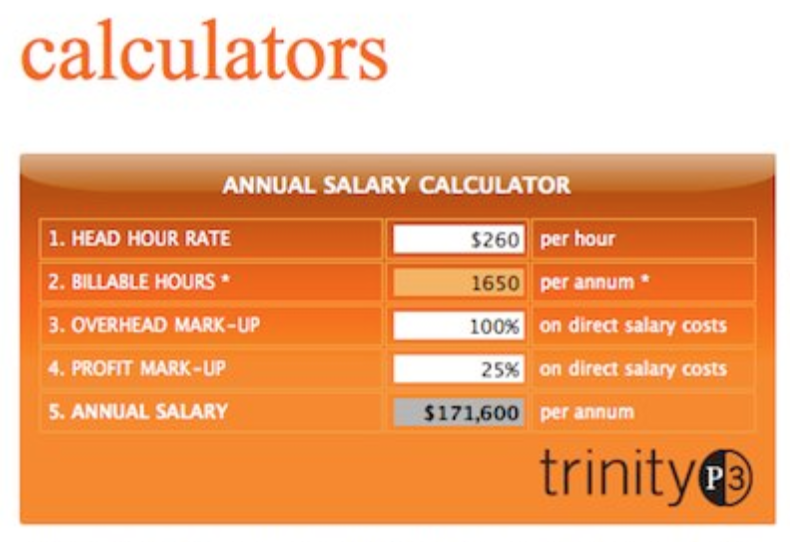 Adjust the Annual Billable Hours Calculator – the third one down – to your particular market. You need to know Annual and Sick leave entitlements, Public Holidays and working week details. 2. Enter either the hourly rate in the first calculator – Annual Salary Calculator – OR the Annual Salary into the second calculator – The Head Hour Rate Calculator. 3. Enter the Overhead Multiple as a Percentage and the profit Multiple as a Percentage into either the first or second calculator and read the result. Try it out here and let me know what you think. 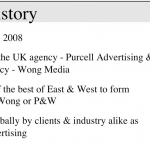 The independence and integrity of marketing consultants?